Eid is coming up!! I can't wait. I love celebrating it. Me and my family always get together to celebrate it. This Eid, my dad and mum won't be celebrating it with us. They are of to do HAJJ. 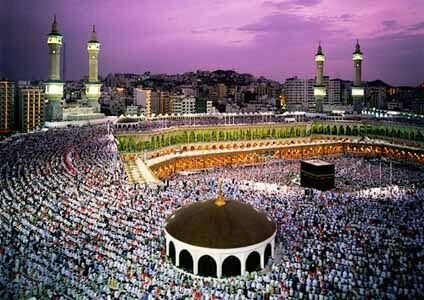 In our religion, each and every person is required to do HAJJ. It is where you go and get rid of all your bad sins. I think this Eid, me and my sisters and brother will probably just go to a restaurant because Eid is not really fun without my parents!! Well I hope it will be fun for us, and I hope my parents will enjoy it because they are in an amazing place and I wish I can be there right now!